Top Notch Party Bus & Limousine is Metro-Detroit's premier transportation service company. We pledge to deliver the best in quality and class while ensuring your safety and satisfaction. Whether you are getting married, celebrating a birthday or having a night-out, we are here to transport you to your destination with luxury and comfort. 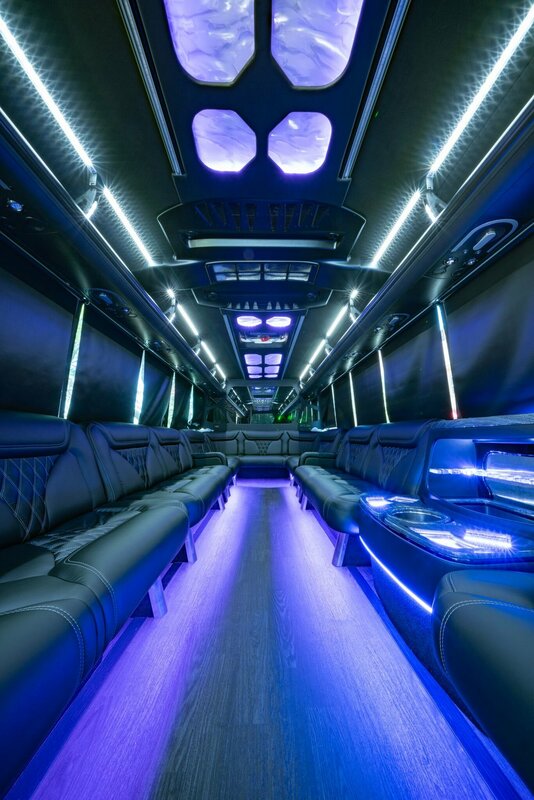 With a Top Notch Party Bus, you don't have to worry about being crammed or unable to stand and move around. 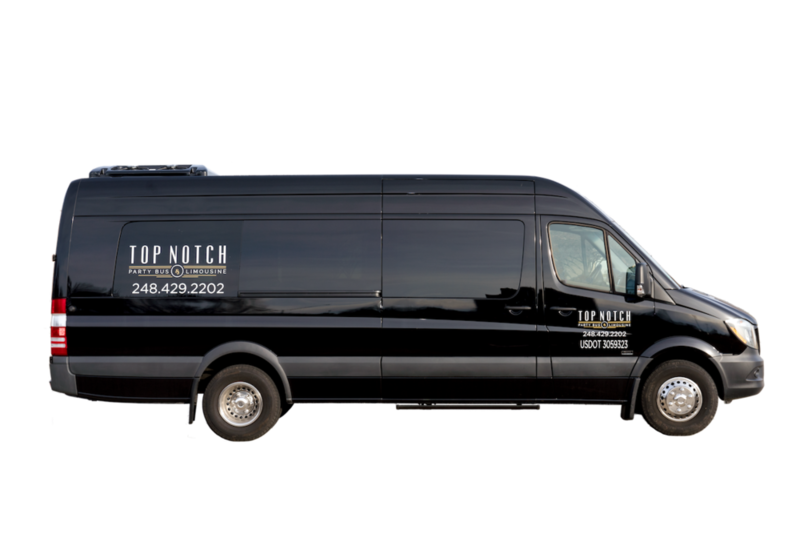 Top Notch Party Bus is the ultimate luxury and comfortable limousine for your parties. All of our Top Notch Party Bus Employees are highly trained, fully licensed and insured drives that are committed to prompt and reliable service. They are always committed to providing a safe and comfortable ride for you and your party. Call now to choose from one of our finest fleets to take you and your party for that special night to remember! Finding the right type of vehicle for your event is important! Browse our fleet here. Top Notch wants you to feel and look 'Top Notch' when you walk out of our vehicles. Therefore, get your party a set of custom plastic drinking tumblers with lids and straws to keep the drinks off your clothes and in your cups! Each individual can have their names personalized on each cup. These custom drinking tumblers also make for wonderful party favors. Please inquire about adding these to your package! 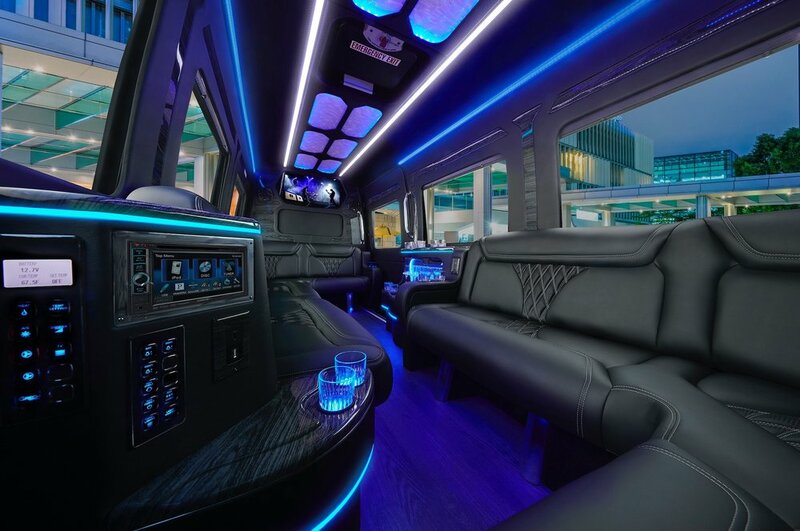 Travel in luxury and style with Top Notch Party Bus & Limousine Service for all of your special occasions to take the worry out of transportation on that special night. Our popular buses are known for being comfortable and spacious so that you and your friends can move around, stand up, dance, and relax throughout your entire ride! Enjoy that special bachelor party and the night without worrying about a designated driver and have our professional and safe chauffeur take you around for that night out with your buddies. Enjoy that special bachelorette party and the night without worrying about how you are going to get around safely and how you are going to get home. Have our professional and safe chauffeur take you around to enjoy the night with your girlfriends. Travel in luxury and comfort on that special day. Enjoy the night without worry and make the night memorable with your family and friends with our professional limousine transportation service. TOP Notch Party Bus Popular Services based on previous customers and inquires. Many of our other transportation services and popular occasions that our clients and customers choose Top Notch Party Bus & Limousine for their Transportation Service. Detroit Party Bus Service and Detroit Limo Service - Enjoy the night in the Motor City. 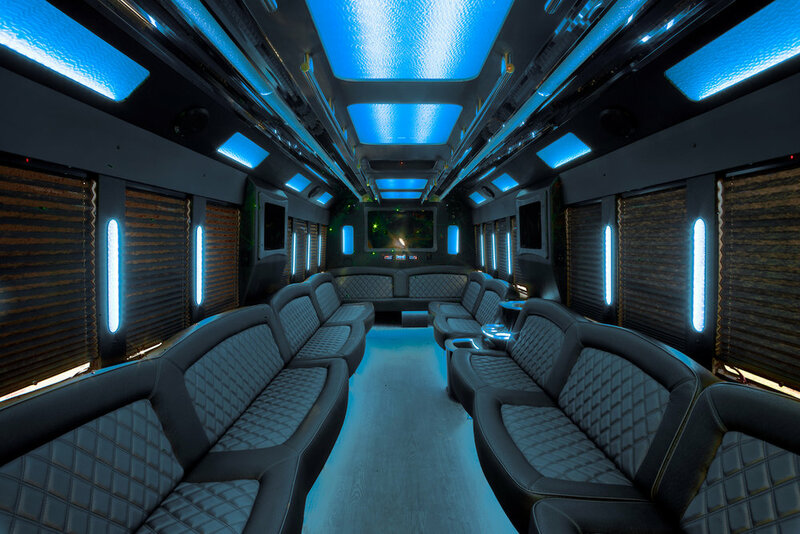 Relax, kick back and enjoy the luxurious Top Notch Party Bus. Have fun traveling through the city at all the Detroit hot spots without the worry of parking and the ride back home safely. 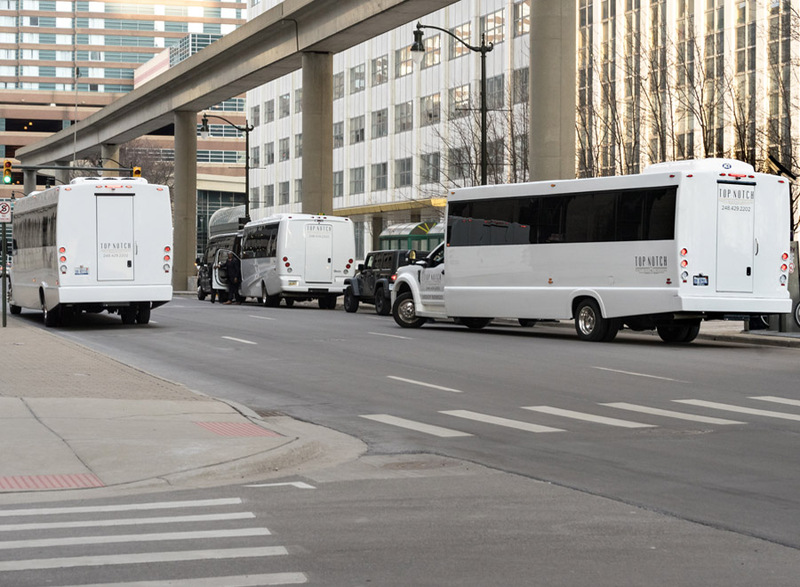 Ann Arbor Party Bus and Limo Rental Service - for all special events in the city! Avoid the traffic and parking trouble and have our professional and safe chauffeur drive you through the congested, but wonderful city of Ann Arbor! Go out and have fun at all the fun bars and restaurants in the city of Ann Arbor! Be sure to catch the big game events of Michigan Football and Michigan Basketball with Top Notch Party Bus and Limousine Service! Whether you are quite the planner or last minute, Top Notch is here to respond to you immediately! ©2017 VP Design. All Rights Reserved.